Wedding Celebration in Las Vegas? Searching for custom wedding invitations in Las Vegas? We are world famous online wedding invitation website offering custom wedding invitation for perfect marriage celebration in Las Vegas. We know that weddings in Las Vegas are lavish and planned on a high scale basis. Usually the atmosphere of the event is studded beautiful decoration and a greater amount of money is spent on selecting beautiful and royal wedding invitations. A complete online portal offering marriage invitation cards to suit every pocket and religion i.e. Hindu, South Indian, Muslim, Sikh, Christian and Gujarati. Our set of highly talented designers upgrades the catalogues on the regular basis. So, we are offering wedding invitations which are known for their charm and exclusivity all around the world. We also know that guests and relatives who are invited to attend your big day have special significance and without their presence the whole ceremony will be incomplete. The designs in the invitation cards include all types of religious and traditional symbols which will make it elegant and royal. Our online wedding card portal a2zweddingcards is the perfect place to select and design your wedding invitations for you wedding in Las Vegas. 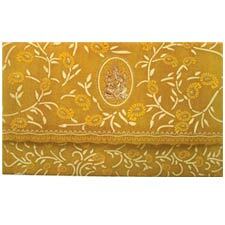 It also gives you customization option along with impeccable colors and designs. We know you will find a large number of online marriage card vendors, but our website is known for its operational excellence and timely delivery of invitations. At the same time, the customization option gives you all the freedom to select your shade, color and design to make your dream a reality. A2zweddingcards strives for giving best online shopping experience with secure payment plan and invitation delivery worldwide. We offer wedding invitation cards made from high quality paper and beautiful designs. 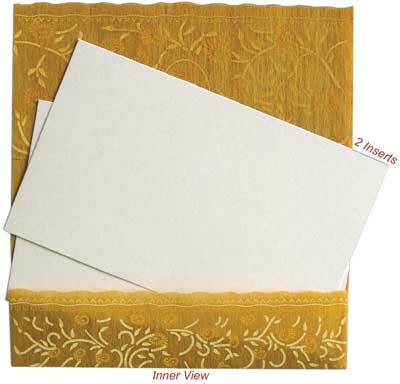 Along with the main invitations we also offer various add-on cards like RSVP cards. Thank you cards, Menu Cards, Program cards are also available along with invitation cards. 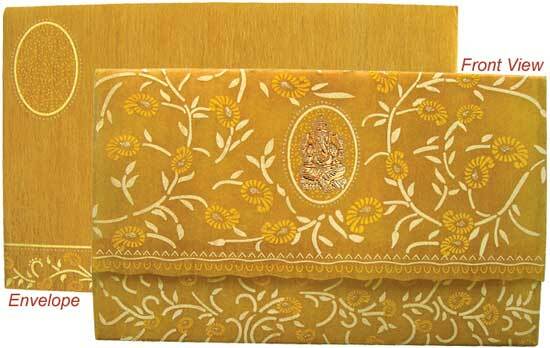 You can also find various wedding accessories like money envelops, envelop seals, save the date cards and so on. We aim to offer our clientele with the most excellent online shopping familiarity from start to finish, with an elegant, searchable website, easy-to-follow instructions, clear and secure payment methods, and timely delivery of invitations. Our customer support staff is online 24/7 to handle all queries related to wedding invitations in Las Vegas. Saurabh Agarwal is the co-founder of A2zWeddingCards. With his years of experience in wedding card designing, he excels in writing exclusive wedding related blogs. His website is a splendid space for latest wedding invitations designs and ideas. He is highly devoted and amorous for the work he performs. With his remarkable work in the industry, he continues to be a palpable wedding columnist with an incredible and prodigious writing talent.